Detox Day 2 + Dessert! Wow, weird lighting thing going on… Sorry about that. You get the gist. 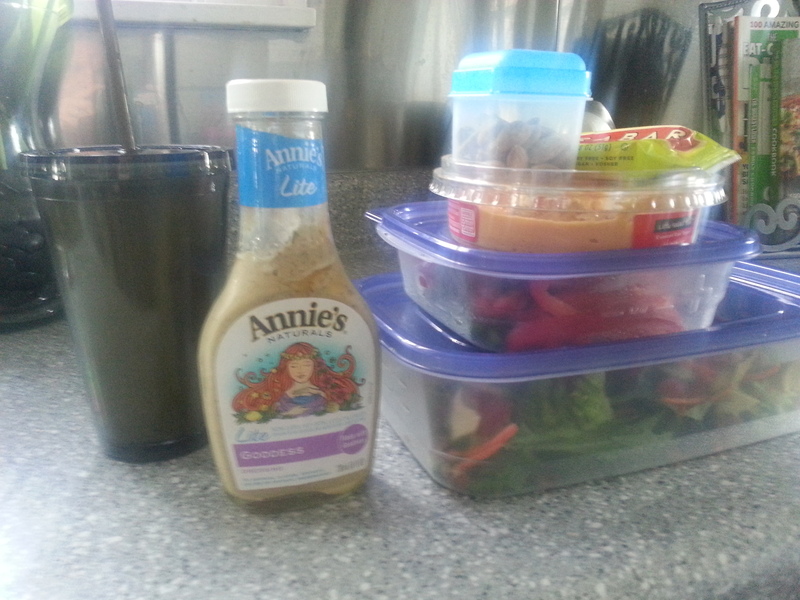 Salad, peppers and hummus, a Larabar, and almonds to bring to work. And I made another smoothie this morning. This one was a green peach smoothie with ground up cashews, Bolthouse Farms’ Green Goodness juice, a frozen banana, and frozen peaches. I ended up putting in too many peaches and had to add more juice so it was a 20 oz smoothie instead of a 16oz. I ended up being so full from my late breakfast that I never ate the pepper and hummus, almonds, or Larabar I packed! Dinner was another baked red potato with refried beans, cumin, and guac. It was so good last night I had to have it again! 1. Melt coconut oil in medium sauce pan over medium low heat. Add apples and stir to coat apples in oil. 2. 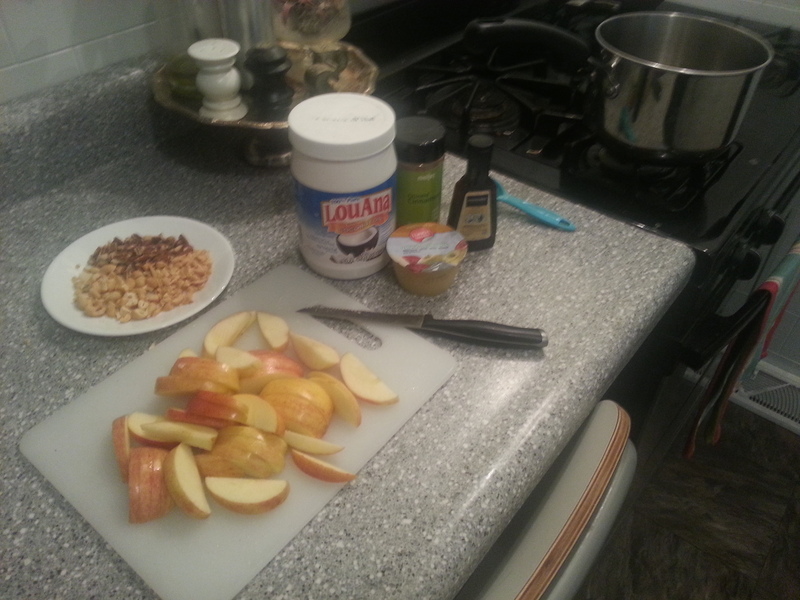 Add apple sauce, vanilla, and cinnamon and mix together. 3. 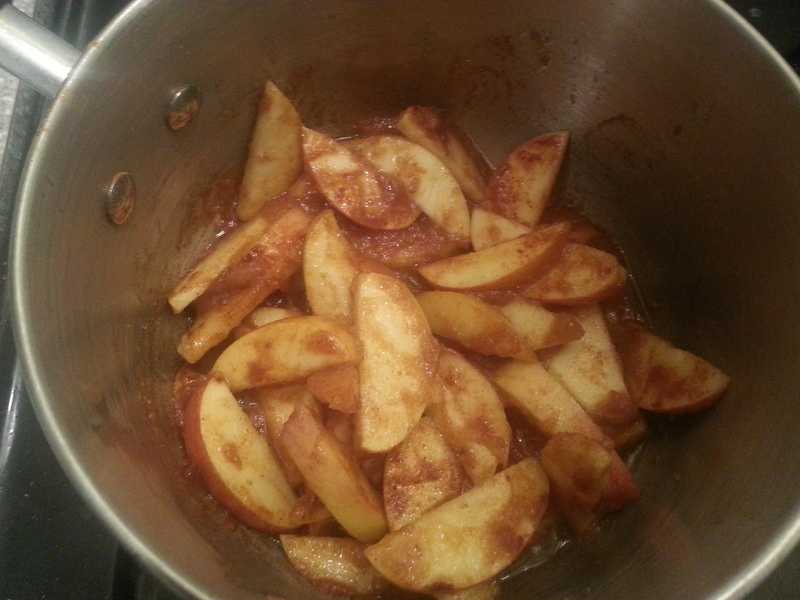 Simmer, stirring frequently for about 10 minutes or until apples are soft. 4. 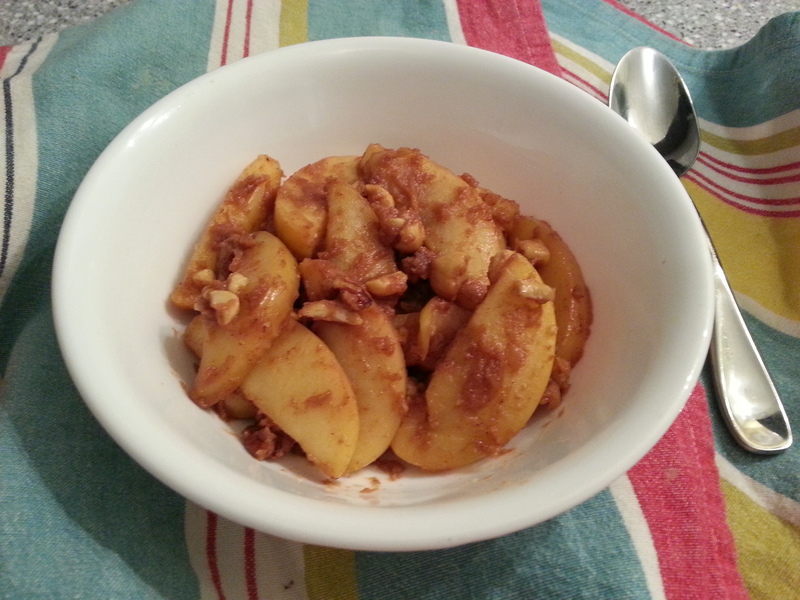 Remove from heat and mix in nuts. This made 2 servings (275 calories each in case you’re counting). I had initially thought I’d want to eat the whole pot when I saw how small my serving would be, but I was stuffed after eating just half of this recipe. I’m learning that I eat a whole lot less when I’m not consuming empty calories! Like I said before, this detox thing really isn’t so bad. I’ve had to be a little creative, but everything I’m eating tastes so good. There are a lot of things I was planning to make and still haven’t (like veggie chilli and southwest stir fry). I might actually keep this going all week! We’ll see how tomorrow goes. Great post and page! Check out my blog for posts on living a good healthy life!